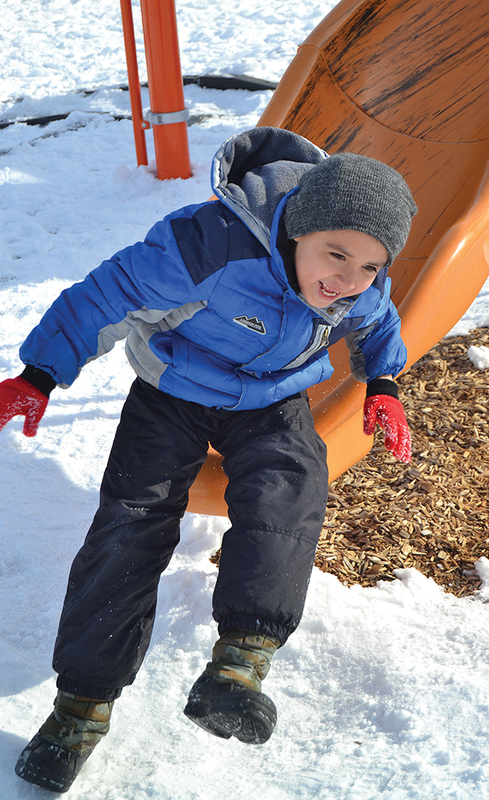 Canden Miner flies down the slide at Freeman Davis Elementary Tuesday, February 27, during recess. The students enjoyed the warmer weather playing on the playground equipment and playing a game of kickball. Canden is the son of Jo Sarah Veaux.